Risotto can be intimidating to make for some people. All it takes is patience. Saute in butter 1 and 1/2 cups Arborio rice in a pan over medium heat for 5 to 7 minutes, or until lightly toasted. Stir constantly so the rice will not stick and burn. Slowly add one ladle at a time of chicken stock (total of approximately 4 cups) until mostly absorbed. Once the rice is almost finished absorbing the stock, feel free to add lemon zest, lemon juice, fresh herbs, frozen peas etc., and cook a few minutes longer. 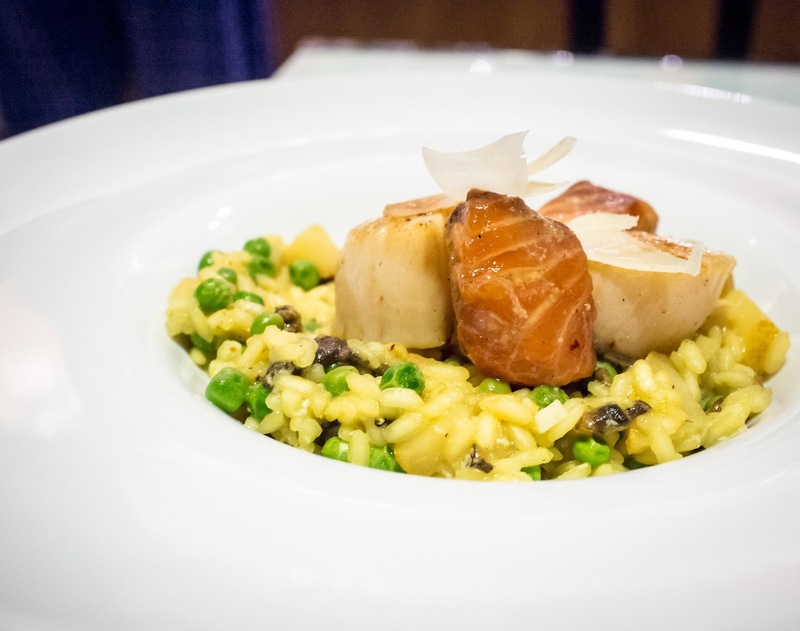 We topped the risotto with scallops, maple smoked salmon pieces and parmesan pieces.